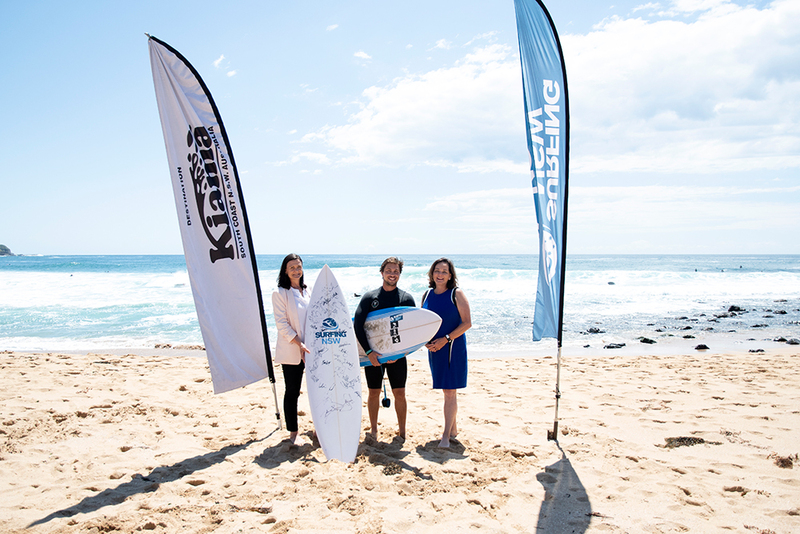 SURFING NSW AND DESTINATION KIAMA FORM NEW THREE-YEAR PARTNERSHIP. Destination Kiama and Surfing NSW will take their partnership to new heights thanks to a new three-year agreement, which will see the idyllic region used as a prime surfing hub for tourism, high performance programs and events. Surfing NSW will host seven educational programs, which encompass, Indigenous surfing programs, bodyboard judging courses, two Surfers Rescue 24/7 courses and two high-performance coaching days. Surfing NSW CEO Luke Madden said the partnership would continue to bolster the already strong relationship between the two bodies. Mayor Mark Honey said the agreement secures a raft of surfing competitions, development and coaching programs, and extensive promotion of Kiama as a surfing destination. “Destination Kiama are to be congratulated on securing this exciting new arrangement with Surfing NSW, which is a great win for our community,” Clr. Honey said. The agreement will also see Kiama promoted as a surfing destination through a range of initiatives, including appointing surfing ambassadors and a ‘My Time in Kiama’ video series. Destination Kiama Manager, Karen Ronning, said stories promoting Kiama as a surfing destination would also be featured by Surfing NSW online. “Surfing NSW will also be promoting Kiama’s surfing events via their direct marketing database, social channels and NSW Boardriders clubs and surf schools. Historically, Surfing NSW have hosted an array of different events in the Kiama region, including the World Junior Championship, Pro Junior events and the Kiama Bodyboard King Pro. Events to take place in Kiama region in 2019.